Golden Decorative Pillow / Cushion Covers with floral design. Made from Golden Jacquard, Golden Sequins Zari Lace detail. 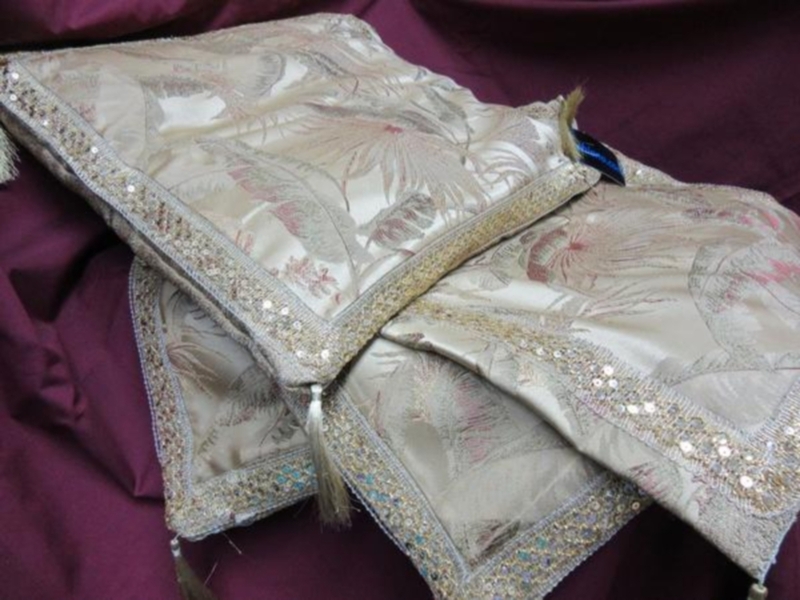 Cover Size: 19" x 19" to fit pillow about 17"x 17"
Size 19" x 19" to fit pillow about 17"x 17"
This item in Pillow & Cushion Cover category was first added to our catalog on 07-15-2016. 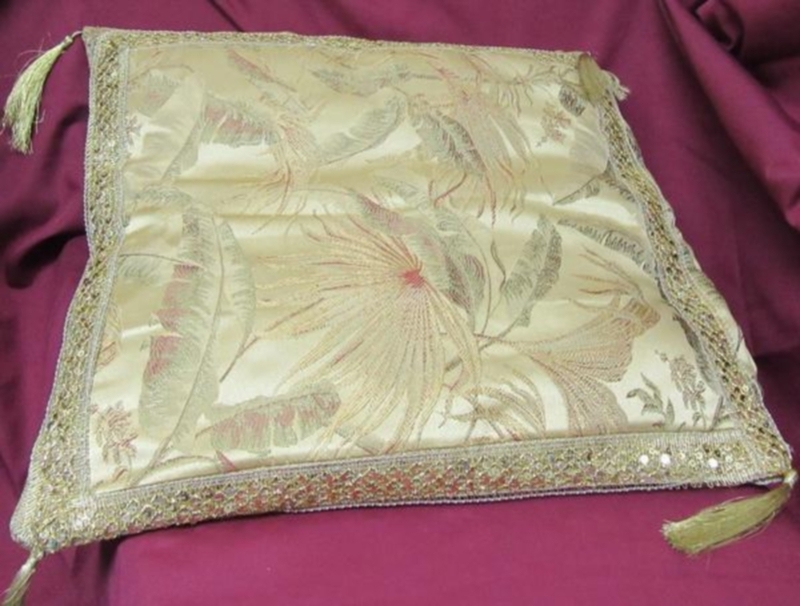 Buy Golden Decorative Bed Sofa Pillow Covers, sold & shipped by Shieno Boutique where you can shop online for Latest Sarees, Salwar Kameez, Shawls, Jewelry & Clutches. This Pillow & Cushion collection has been tagged as furnishing, traditional cushion covers.